Our small team of hand-selected DJs bring the live mixing and high-energy dancing experience you would expect from a club but make it wedding appropriate by catering to all ages, tastes, and styles. So, whether you want lots of classics and oldies or an all-out dance party, we’ll be able to provide something unlike anything you’ve ever experienced at a wedding before, not to mention a PACKED dance floor. We don’t wear tuxedos (check out what we do wear), we don’t put signs out on our table, and we don’t go into hyper cheesy DJ-voice mode. We provide music and entertainment throughout the event to make sure you and your guests have a blast and make sure you have the wedding you’ve always wanted and a night you’ll never forget. We DJ parties, clubs, weddings, corporate events, sweet sixteens, and much more. Mixing Maryland is much more than an Columbia, MD wedding DJ company, we’re more what you’d call professional fun facilitators. 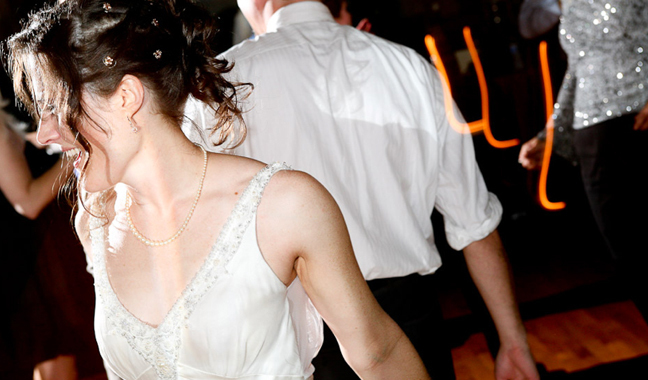 With an ever-growing music database at our disposal, we’re serving brides and grooms in Columbia, Maryland, DC, and Virginia with professional wedding DJ services. Whether you’re looking for a casual evening or an all out party, we’ve got you covered. Oh, and just in case you’re curious, we provide all of our own equipment and of course, we’re licensed and insured. Baltimore, Catonsville, Elkridge, Ellicott City, Fort Meade, Laurel, Odenton, Savage, Severn, and all over Howard County.